Fire Protection Compliance Ltd can check and repair any LPG portable appliances and will do their best to source the parts needed to repair them. Portable LPG appliances are heaters, barbecues, patio heaters and lanterns, cookers and smokers. Burning LPG (liquefied petroleum gas) is great for barbecuing and heating, but burning it produces harmful gasses – nitrogen dioxide, carbon dioxide and carbon monoxide – which can have serious health effects. That is why it pays to get any portable LPG appliances checked and repaired and follow some basic common-sense safety precautions when using portable LPG appliances. Leaks from a poor connection could result in an explosion. Poor ventilation can cause an LPG appliance to burn inefficiently and produce carbon monoxide, which is incredibly harmful and potentially dangerous. Fire Protection Compliance encourage you to be safe with portable LPG appliances and set them up safely. Always read the instructions – read them before using the appliance for the first time. Test for gas leaks every time you connect the gas bottle (follow the instructions on the gas bottle on how to do this). If you’re not using your appliance, always turn the gas off at the bottle – always. Only use LPG appliances when you’re awake (turn it off even if you’re intending to have a short nap). Always keep a heater/ BBQ/ heating appliance at least a metre from anything – from curtains, bedding, outdoor furniture, etc. This is a good rule for all heaters/appliances that heat up. If you have children use safeguards, always follow the rule of keeping a metre away and don’t leave them unsupervised. 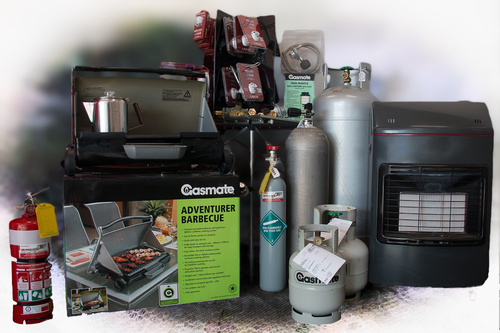 Fire Protection Compliance check and repair portable LPG appliances including heaters, barbecues, patio heaters and lanterns, cookers and smokers. If in doubt, get your portable LPG appliance checked. Contact Fire Protection Compliance today.